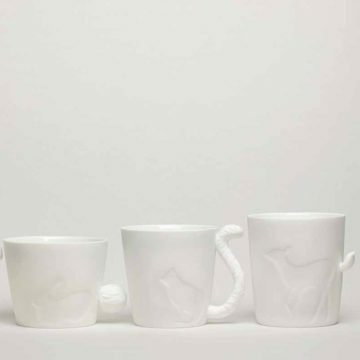 The pattern, in pale green, is based on the various ingredients in tea. There is a Scottish twist – notice the antler and thistle leaf. Matching notebook and Tea Chest available. 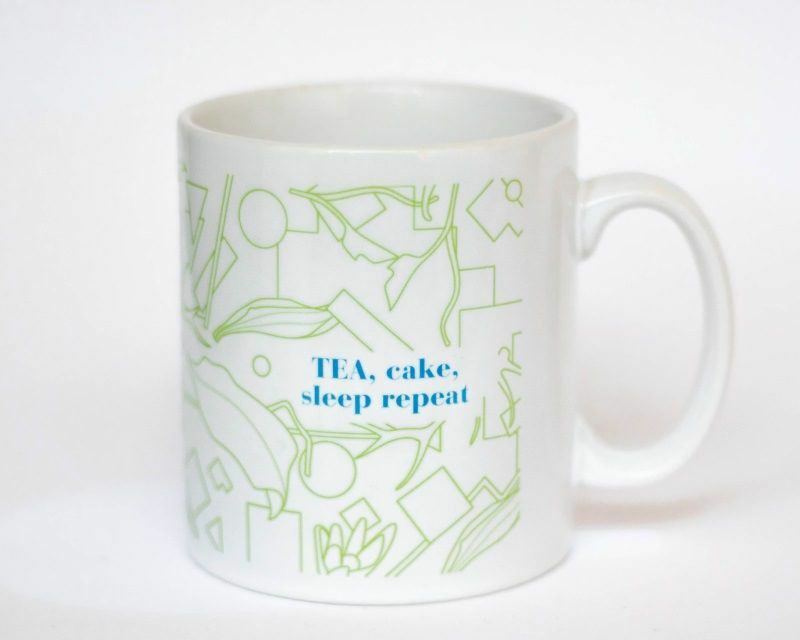 White mug with eteaket exclusive pattern in pale green. 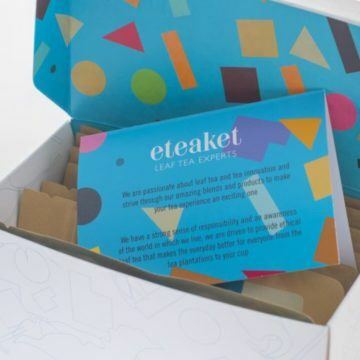 Text in blue, ‘Tea, Cake, Sleep Repeat’ with eteaket logo on back. Topped up with eteaket tea!